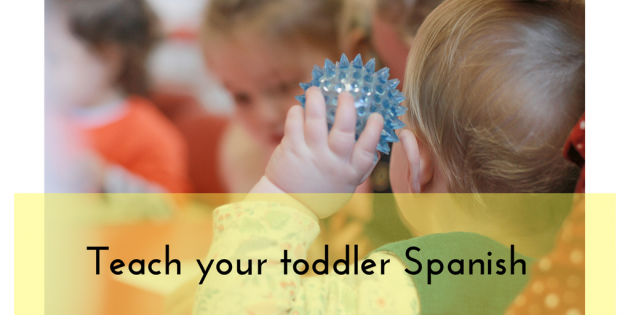 September can be a great time to start something new, why not teach Spanish to your toddler. Uno: find cards or pictures of things that toddlers love, animals they see often or might have as a pet, things they use on a daily basis, family members.. if they know these words in their first language encourage them to use it too and then repeat it in Spanish, young children love to see things they recognise and they thrive showing off all their words, you just have to offer the Spanish version. Dos: talk about your food. Eating together can be a great opportunity to talk about the things you are eating. Food is an other major toddler interest and therefore it makes it an other great relate-able topic to introduce and learn. Tres: do crafts together. Toddlers love to play around with different textures and they like to get messy. Prepare a surface with paints and maybe things like flour, sand, bottle tops, cotton wool… You can have a great time together (most likely your toddler will) while you comment on the different textures if what they are touching is soft, sticky.. talk about the colours or the things you are using. This is another scenario where they are fully involved in what they are doing while they can learn or practise new vocabulary. Cuatro: Watching Spanish videos or cartoons is also a great resource to help you teach Spanish to your toddler. Choose the programmes they most like and find them in their Spanish version. Pocoyo is one of my favourites, it is originally created in Spain and the pace is great for entertainment and learning. At Nano Spanish club we offer a great variety of videos with great topics for toddlers and pre school children. Check here our free sample. Cinco: Take the language with you. If you don’t speak Spanish Google translate or a handy small dictionary can help you out with all of those things your toddler will point at while you are out and about. A great opportunity to reinforce also your first language and teach them a second one. 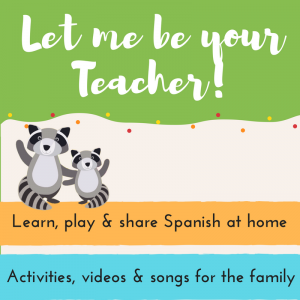 I am all with you in your decision to teach Spanish to your little ones and always happy to help, you can contact me via our Instagram feed or FB. Genial el post, interesante y muy útil para las clases. En mi firma podéis llegar a más contenido relacionado. Linda.